When nothing works with small scale models – that is the stage 1:1 should be used! So I made a collage of the possible turned chair. Seemed quite promising. 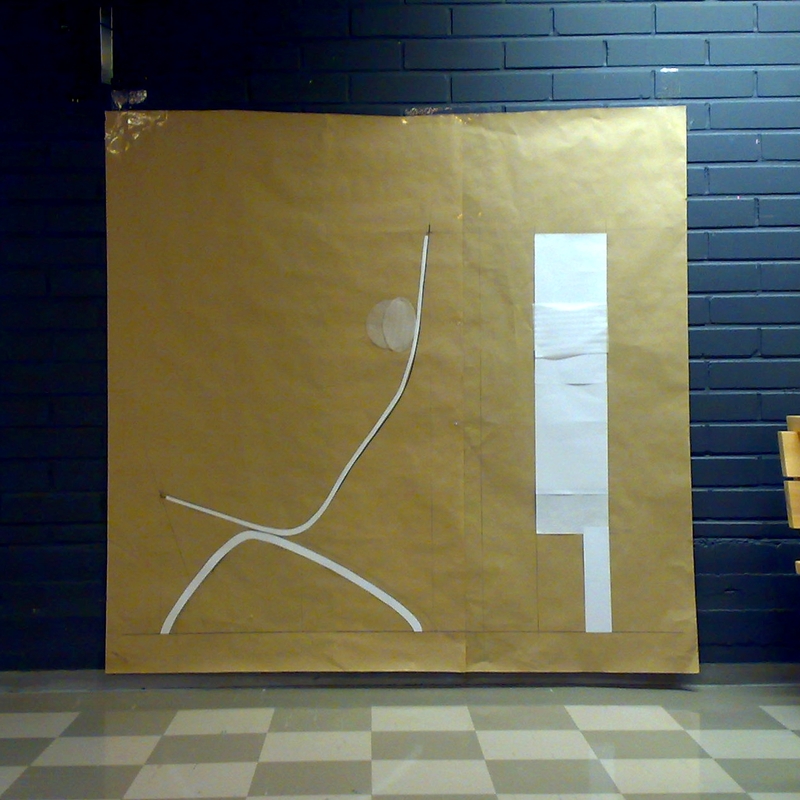 There was a task to make a collage for showing views of the chair. The result seemed quite logical for me. But my teachers had their opinion. Firstly, I should think more about ergonomics. Front of the seat should be rounded. Secondly, legs. One of the teachers would make it 3angular, just functionally rounded . But other told me to forget about any kind of curved legs. The discussion was finalized with a text: make a MOLD, and FORGET about these nights when you were dreaming of curved legs! A mold. That is what I should do now.